Here’s a chair fit for a Marshall. 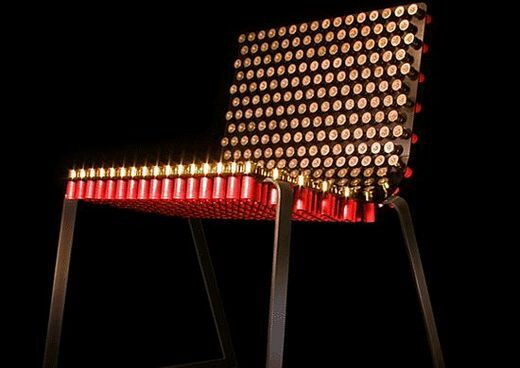 Alexander Reh’s chair is called Fully Loaded and features a steel frame with 12-gauge shotgun shells. Not only does it look great, but you could easily use it to defend yourself in a hostage situation. And by hostage situation, I’m talking about how you kidnapped the Domino’s guy and the police have been outside for the past two days. Keep at bay, sir.